Yes, that’s right. If you follow me on Instagram, Facebook or Twitter you’d know that just last week I picked up my life, said goodbye to Tokyo and moved to Johannesburg. It happened for a number of reasons, but the main one being that I simply didn’t want to give birth to my baby in such a foreign place. I also felt that I need the support of my family and neither my husband or I wanted to deprive them of being part of this wonderful time in our lives. So we packed everything up and made the big move. I’ve been back for almost a week and the thing that no one ever tells you about moving home from a foreign country is that you definitely suffer from a case of reverse culture shock. In case you have no idea what I’m talking about, I’m referring to those things that are completely normal in your home country but that suddenly seem out of place to you. Still not sure what I mean? Let me give you an example: In South Africa the accepted norm is to tip 10% – 20% for a meal in a restaurant, but in Japan it isn’t. The practice simply doesn’t exist. In fact it’s considered offensive to tip the person who has been waiting on you throughout your entire meal, so you can imagine that after avoiding it for 2 and a half years how strange it is to start tipping again. I realise it seems minor, but it’s all these little peculiarities that add up and make you realise that “you’re not in Kansas in anymore Toto”. It messes with the mind, I tell you. But no worries, it’s all good. I’ve come through the worst of the jet lag and I’m generally just over the moon to be back. Seeing that I’m 6 months pregnant, the timing was perfect as I wouldn’t have wanted to leave flying halfway across the world any later. So now my focus is to simply enjoy the last 3 months of pregnancy, somehow get through one more month of Winter without an actual Winter maternity wardrobe, enjoy being back with my family and focus on maintaining my natural hair health. Welcome back home dear, hope the baby is doing fine and mummy too!! 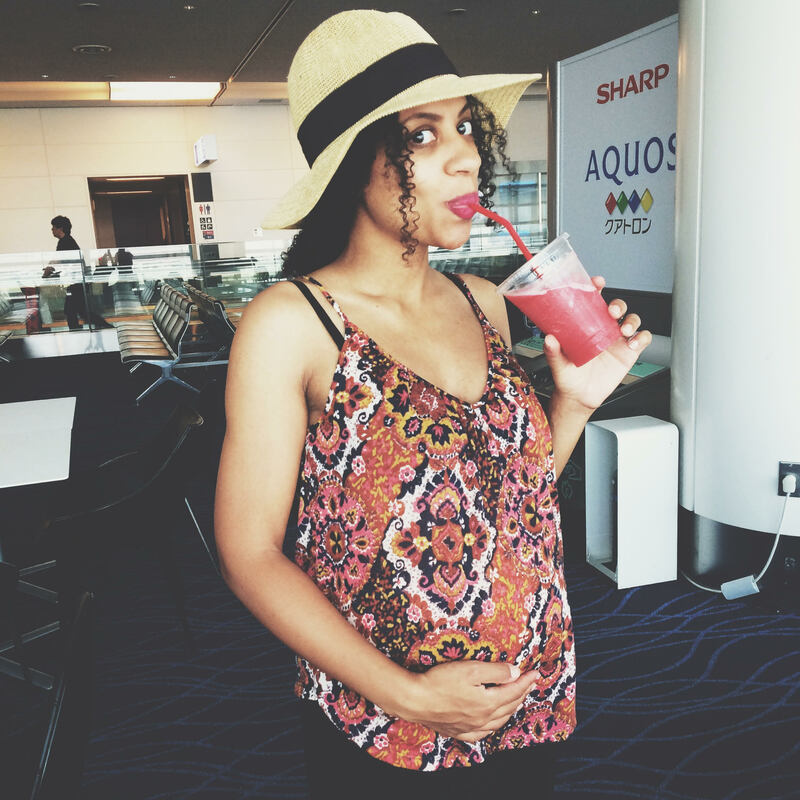 Congratulations on the baby – your baby bump is perfect!